Ensure safety of the electrical systems of your home and stay away from power failures. Get Generac Generators installed by J.J Galvin Electricals in Boston, MA. Steadfast assistance, quality craftsmanship and safe installation are our hallmarks. 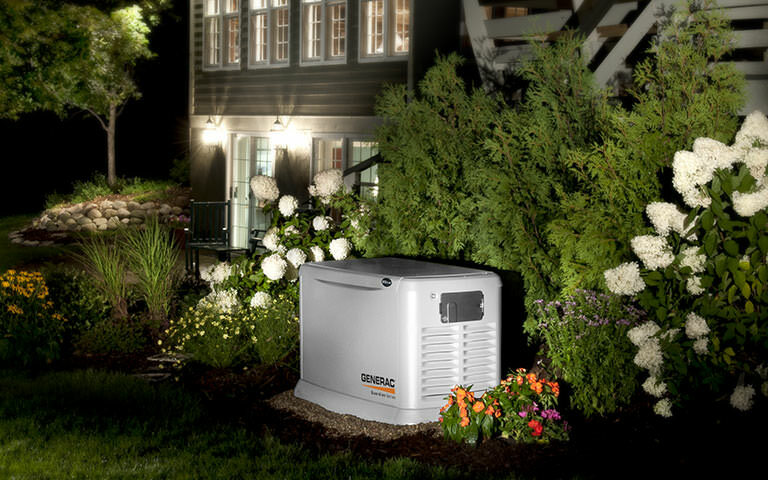 Call us now for installation, sales or service of Generac standby generators! Are you planning to install standby generators at your home in Boston MA? Well, here is everything you need to know about whole home standby generator in Boston, MA. Standby generators are fixed generators that will be installed at a concrete pad in your back yard of the residence or the commercial space. It will be connected to the electrical panel at your property. It will help your electrical appliances with the required electric supply when there your main electric supply in interrupted. It will give you electric back up for days on end. Normally, the source of fuel in such generators is diesel, natural gas or liquid propane. The number of electrical appliances that can run by the generator depends on its capacity. Depending on the energy requirement and your budget, you can choose the type of stand by generator. Wondering whom to call for whole home standby generator in Boston MA? J J Galvin Electrical would make the right choice for generator installation. At J J Galvin Electrical, our technicians give utmost consideration to the safety and durability of the products when it comes to whole home standby generator in Boston MA. We listen to your electricity requirements at times of power shutdown and suggest you the right standby generator. The services are priced at competitive rates and we never give you shocking bills. Call us now to get detailed information on standby generator installation.